Rinse, dry and finely grate the zucchini. Mince the garlic. 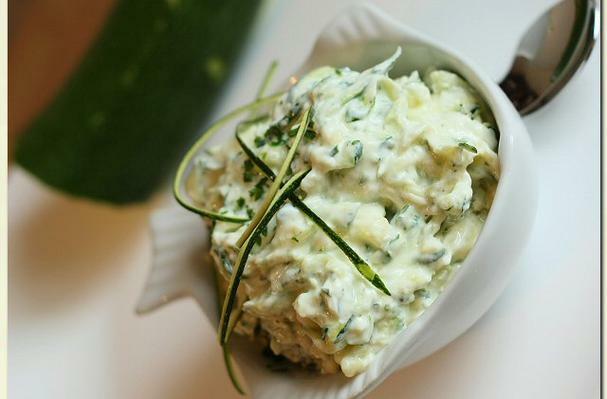 Place the fresh cheese, grated zucchini, parsley, olive oil, minced garlic, and lemon zest together in a bowl. Mix well. Season the mixture with salt and pepper. Now it is ready to spread on your favorite artisan bread. This zucchini cheese spread is extremely easy to make. Spread it on your favourite artisan bread or use as a sandwich filler or serve it in place of hummus.